The U Mobile Partnership With Ed Sheeran & Other Music Festivals! 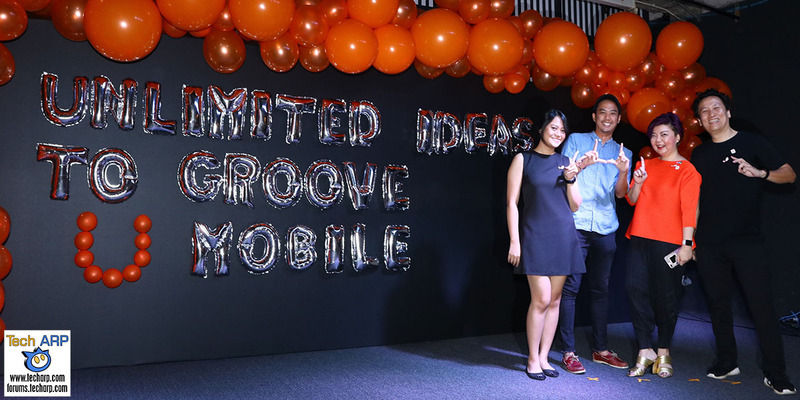 5th May 2017 – U Mobile, driven by their customers’ passion for music, has created Unlimited Ideas for customers to groove right through the year. The Unlimited Ideas Groove Calendar kicks off with Urbanscapes 2017, the quintessential music, arts and culture festival that starts tonight and will run every weekend throughout the month until 21st May 2017. Other highlights include the intimate Upfront concert series, Good Vibes Festival and the highly anticipated Ed Sheeran’s Malaysia Tour. Presented by U Mobile, this year’s Urbanscapes’ theme is #RediscoverKL. In its 15th year, Urbanscapes will be packed with music and performance art, as well as art installations. In addition, this much anticipated festival will also feature talks, thematic markets, workshops, experiential and interdisciplinary events headlined by home-grown, regional and international artists including Clean Bandit, Mew, Yellow Fang and Kyoto Protocol. U Mobile customers can enjoy early bird ticket pricing for select shows at Urbanscapes. This exclusive promo can be redeemed by customers on the MyUMobile app. U Mobile customers will receive the merchandise whilst stock lasts. U Mobile customers will receive RM15 off Grab rides to and from key Urbanscapes locations like Urbanscapes House @ 2 Hang Kasturi, KL Live and The Bee, Publika. Each customer can redeem up to two (2) rides daily from 5th May – 21st May 2017 to and from the three aforementioned venues. Customers can claim this super promo by downloading a unique code from the MyUMobile app. Urbanscapes attendees have a dedicated charging station to recharge their phones and also a photo wall for them to snap wefies, selfies and #OOTDs against. U Mobile customers will get to enjoy F&B promos whenever they see the “U Munchies” sign displayed at various venues and from various merchants taking part in Urbanscapes 2017. To redeem the U Munchies deal, customers need to download the voucher code from the MyUMobile app. Presented by U Mobile, Upfront features established and up-and-coming acts from around the globe in the intimate space of The Bee, Publika – bringing fans closer to their favourite musicians for an unforgettable live experience. The next show on 19th July 2017, will feature London-based duo, Oh Wonder. Previously, Upfront has featured The Temper Trap, Grimes and The Vaccines. This exclusive promo can be claimed by U Mobile customers on the MyUMobile app. U Mobile customers will receive RM15 off Grab rides to and from The Bee, Publika on the event day. Customers can claim this super promo by downloading a unique code from the MyUMobile app. Upfront attendees have a dedicated charging station to recharge their phones and also a photo wall for them to snap wefies, selfies and #OOTDs against. U Mobile customers will get to enjoy F&B promos whenever they see the “U Munchies” sign displayed at The Bee, Publika. To redeem the U Munchies deal, U Mobile customers need to download the voucher code from the MyUMobile app. Launched in 2013, Good Vibes Festival has drawn a loyal following of music enthusiasts with their showcase of international, regional and local music acts. With a past line-up that included alternative rock idols The Smashing Pumpkins, electronic music stars Disclosure and indie rockers The 1975, Good Vibes has cemented its reputation as one of the best events the country has to offer. Backstage passes where one can meet and greet the artists and catch their performances from the side of stage. The ÷ (Divide) Tour is the third world concert tour by English singer-songwriter and musician, Ed Sheeran, in support of his third studio album, ÷ (Divide). The tour will celebrate the tremendous success the Grammy-winning singer has had with his third LP, including the number 1 Billboard Hot 100 debut of “Shape of You,” which has topped the chart for six weeks so far, while second single “Castle on the Hill” entered at number 6, making Ed the first artist to ever have two singles make simultaneous top 10 debuts in the chart’s 58-year history. , ÷ (Divide) also broke the 1 billion YouTube views mark just two days after its release. Full benefits for the upcoming major music events such as Good Vibes Festival and Ed Sheeran’s Tour in Malaysia will be unveiled on the U Mobile website in June 2017.